Recycling in Amsterdam is super easy once you have all the information aggregated in one place. If you have an interest in this topic, please continue reading! I hope you find it useful because I firmly believe that as consumers, we have the responsibility to learn to recycle wherever we live. After you understand how recycling works in Amsterdam, perhaps you’d be interested in how to live a zero-waste lifestyle in Amsterdam! What to Do When Recycling Bins Are Full? Recycling in Amsterdam is relatively straightforward in that the consumer separates between materials at the point of collection. This means that plastic, glass, paper, textiles, and trash (afval) all have separate collection containers. Beyond this, grocery stores have smaller collection points for household items such as batteries, light bulbs, and small electronics. Large grocery stores also have a bottle deposit scheme for larger plastic bottles (1 liter+), beer bottles, and beer crates. You pay the deposit fee (statiegeld) when you purchase these items and receive the deposit back once you submit the bottle for a deposit. The city incinerates the remainder (i.e., whatever is not separated). After incineration, the facility uses metals to separate out the iron from within the ashes. However, it does not capture non-iron metals, such as aluminum. Thus, as I understand it, Amsterdam does not recycle its aluminum. Blipvert is a Dutch company that recycles small household products including print cartridges, batteries, light bulbs, CDs and DVDs, mobile telephones, adapters, and other small electric appliances. Textiel: textiles including clothes, shoes, sheets & blankets (but excluding quilts and pillows), bags & accessories, torn clothing, curtains, hats, stuffed animals, and other textiles. Place these items into a closed bag before adding them to the container. Afvalpunten: waste collection points where you can dispose of most types of waste that might be recyclable. These include items such as furniture, scrap metal, construction waste, household chemical waste, mattresses, and more. The collection company will recycle or safely dispose of any items that you bring to them. Recycling plastic in Amsterdam easy as well. Large, above-ground, (usually) orange containers (Plastic verpakkingen) collect your plastic collection. Here is a list of plastic items (in Dutch) that you can put in these collection containers. Note that paper-like drink cartons are on this list. Do not put these in with paper recycling. Additionally, you can use this waste separator database (in Dutch) prepared by Milieu Centraal to find the appropriate place for your garbage. In some parts of the country, the orange containers are labeled PMD, which stands for plastics, metals, and drink cartons. If that’s the case, you can add metals to this recycling stream. If it doesn’t state so, only add plastics and drink cartons! Metals go into the waste bins. Disclosure: This post may contain affiliate links. If you click through and make a purchase or sign up for a program, I may earn a commission. This is at no additional cost to you. Glass recycling in Amsterdam is available in underground containers. Generally, you should only recycle food and drink containers. They don’t have to be completely cleaned out, and lids are OK to drop in as well. An important note is that you should not try to recycle other types of glass such as light bulbs, drinking glasses, or oven-proof glass as they will contaminate the entire collection of glass. Instead of purchasing drinking glasses, I occasionally buy food in well-shaped glass jars. This works out well because when I had to leave Amsterdam, I did not have to worry about packing up all my fragile drinking glasses. I simply dropped them in the glass recycling containers since they are peanut butter jars. Refer to the photo for my Albert Heijn peanut butter jar collection. This isn’t even my full glass accumulation. I have a bunch from Bonne Maman – their strawberry preserves are so delicious! My glass jars serve their primary duty as my drinking glasses, but double-up as storage containers when I have leftover food. Peanut butter and strawberry jam sandwiches are so yummy! Paper recycling is entirely straightforward. Just collect your paper and cardboard and insert in container. Make sure to break down boxes beforehand and fold/cut as needed as the container opening is not very large. Pro tip: if you have shiny paper, try to rip it. If it rips easily, you can recycle it. If it doesn’t tear easily, it’s safer to treat it as residual waste to avoid contaminating the recycling stream. I’ve received many questions about how to recycle aluminum cans in Amsterdam, and unfortunately, there is a way but is not as convenient as other types of recycling. Metals are not separately collected in the city and you should of it as residual waste. Residual waste is transported to a waste-to-energy plant, AEB, where the burning of the garbage generates energy for electricity and district heating (central heating and hot water). I asked the Amsterdam government if the incineration process recycles all metals after incineration. The response was that only iron-based metals are extracted because the extraction is performed by magnets. This implies that common and easily recyclable metals, such as aluminum, are not recycled in Amsterdam. However, the AEB website claims that they extract out valuable metals such as copper, iron, and aluminum. I’ve reached out to them for more information on this conflicting account and will update this if I hear back. Until we hear back confirmation from AEB, I’m going to assume the Amsterdam government is correct. This means that the only way to recycle non-iron metals (i.e., aluminum) is to bring them into one of the waste collection points manually. Plastic bottles 1 liter or larger and glass beer bottles + crates are part of a deposit system. This means when you purchase drinks, you pay a deposit fee (statiegeld) that you get back once you return the bottle to the grocery store. In this way, recycling is incentivized from a monetary perspective. You should generally try to return the bottle to the same grocery store chain from which you purchased your original bottles. If you’re not sure if a bottle is recyclable or not, you can always try. The worst case scenario is that the machine spits your bottle back out and you need to instead drop it off at a Plastics or Glass container. Read more on this website (in Dutch). I Don’t Care About the Deposit Money – Can I Just Recycle in the Municipal Glass Containers? You’re not concerned about getting back your €0.10 per bottle deposit so you want to just drop your bottles off in the underground glass recycling containers so you can recycle all your plastics/paper/glass together. Technically that’s fine, but if you’re looking for the most environmentally friendly action, you should use the bottle deposit machines at the grocery store. When you recycle in the glass collection containers, you’re defining your beer bottles as single-use. 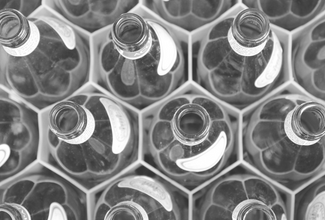 Upon recycling in the glass containers, the glass is melted and then reformed. While glass is generally 100% recyclable (if not contaminated), this melting and reforming process utilizes energy and water. When you recycle via the bottle collection machines, the glass beer bottles remain in-tact. They are cleaned and reused without being melted and reformed. Therefore, your beer bottles can be reused making them a multi-use product. Larger electronic appliances must be taken by the deliverer of your new item if requested. You pre-paid for this removal service at the time of purchase. If you can think of a reason why it would be dangerous to incinerate, don’t include in your residual waste. This includes household chemical waste (i.e., paint, drain cleaners, etc.). If you can think of a secondary use for something, don’t include it in your residual waste. This includes cooking oils and fats, which can be used for biofuels. If you think something is recyclable once taken apart, don’t include it in your residual waste to be burned (i.e., one can disassemble a latex mattress and recycle almost 100% of its individual components). If you think something can serve a second life in a new home, don’t discard it. When you’re considering tossing something but think it can fall within one of these categories, don’t toss it! If you bring these items to a waste collection point, AEB will figure out how to dispose/recycle it properly. The use of these waste collection points is free for Amsterdam residents. Open from 08.00 to 17.00 Monday to Saturday, except holidays. Waste brought to these points will be disposed of or recycled properly. Functional items will be offered to second-hand shops. This becomes circular when someone purchases from a thrift shop. Here is a map to all the second-hand stores in Amsterdam. Recycling in Amsterdam is pretty straightforward once you know how everything works. It’s not the best or most efficient system, by far, but it’s what we have. Here is some more information about the waste guidelines in your specific Amsterdam district. Until the government decides to invest further in the recycling program, we have to spread the word about the importance of recycling and how to do so. Recycling consist of collecting recyclable materials and bringing it to the right bins. If you care about the environment, this sounds super easy. But I’m still always surprised at how many people simply do not care and do not do so. We need to spread the word to multiply our impact on the world. Those with the privilege to know have the duty to share. My brief research into “Does The Netherlands recycle aluminum cans?” resulted in landing on the Banzo.nl website. If I understand, an “eddy separator” bumps non-ferrous materials (including aluminum) off a conveyor belt into a collectable bin for proper repurposing.